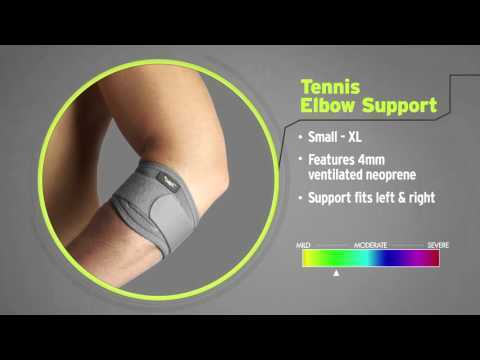 Provides support and warmth to promote blood flow and healing of soft tissue elbow injuries. The OAPL Thermic Elbow Support is constructed from high quality 3mm thick neoprene, and provides support and warmth to promote rapid healing of soft tissue injuries. Maintaining body heat helps to increase blood flow promoting elasticity of muscles, tendons and ligaments. Features lightweight, 2 colour reversible neoprene ideal for post injury sporting applications. The durable and lightweight material increases wearer comfort, and pull-on design facilitates easy donning and doffing. Suitable for protective use during a range of sports and outdoor activities such as basketball, tennis and football.